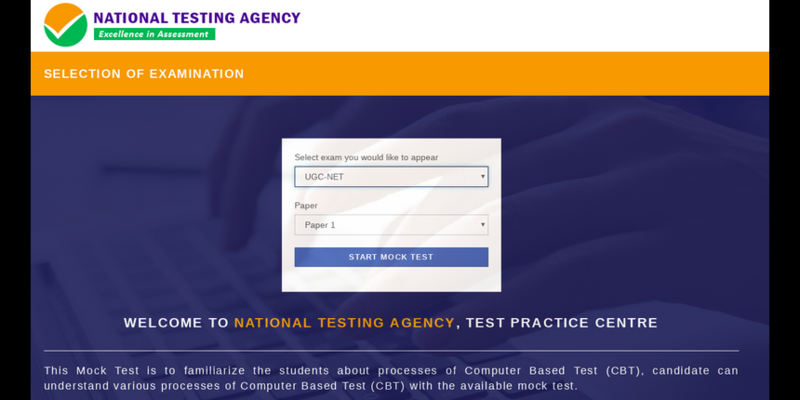 UGC NET Mock Test 2019 – National Testing Agency (NTA) has released the mock test for UGC NET 2019. Candidates cantake the UGC NET mock test by clicking on the link below. By taking the UGC NET 2019 mock test, candidates can practise numerous questions which will ultimately help them increase their speed and build accuracy. 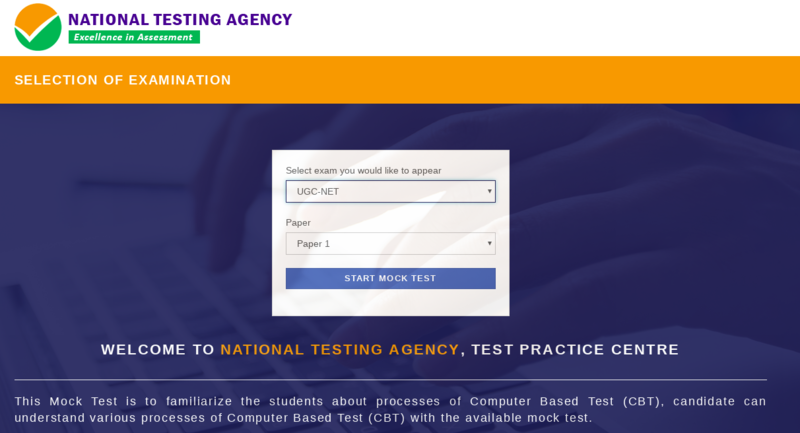 Not only this, but the aspirants can now practice the UGC NET mock test 2019 by simply downloading an application created by the NTA. Besides the mock test, candidates must also practise as many UGC NET questions papers (previous years) and sample papers which is highly beneficial. NTA would conduct UGC NET 2019 in computer based mode on June 20, 21, 24, 25, 26, 27 and 28. According to a recent official notice, UGC NET application form will open on March 1 and will continue till March 30. Candidates can download UGC NET admit card 2019 from May 15 onwards, while the result of UGC NET is expected to be out by July 15. In addition to the UGC NET mock test, candidates also get to know the exam pattern, marking scheme and the nature of questions if they also practise from UGC NET mock test previous years question papers and sample papers. Candidates also get to know and get used to the features and functionality of the mock test, which prepares them for the real exam, as the actual computer based test has the same features and functionality. Candidates will learn to answer all questions of Paper I on 1 hour and paper II in 2 hours. Thus, this will help on the exam day. The question papers of UGC NET help candidates know what type of questions come in the examination. Practising the UGC NET previous years question papers and sample papers help candidates master the art of solving/answering questions, which otherwise may seem to be a tough task. UGC NET sample papers are similar to the questions that come in the actual exam. It must be noted that the mock by NTA is a free online practice test for UGC NET paper and candidates can take the mock test for different subjects - UGC NET online mock test for English, UGC NET mock test Commerce, UGC NET mock test in Hindi, UGC NET mock test Economics, etc. Select UGC NET from the drop down and Paper I or your respective subject out of the list of 80 subjects available in the mock test. Use all the instructions carefully to know the functionality and features of the mock test inside. Candidates have the option to move on to or switch to any question they want from the questions box on the right hand side. Users can make use of options like Save and Next, Save and Mark for Review, Clear Response and Mark for Review and Next. These features are available on the bottom of the page. Use the Back or Next button on the bottom to move to the next page or go back to the previous one. Choose 1 correct answer option out of the 4 available and move on to answer the next question. Do not click on the Submit button, as it would be the last option to opt for once you are done with the mock test. The time being taken by you will constantly continue to run (on top right of the page) and you can keep a track on how much time are your taking to answer a particular question. Once the mock test is complete, you can use the button “Submit” which will take you to the next page of exam summary (Image below). 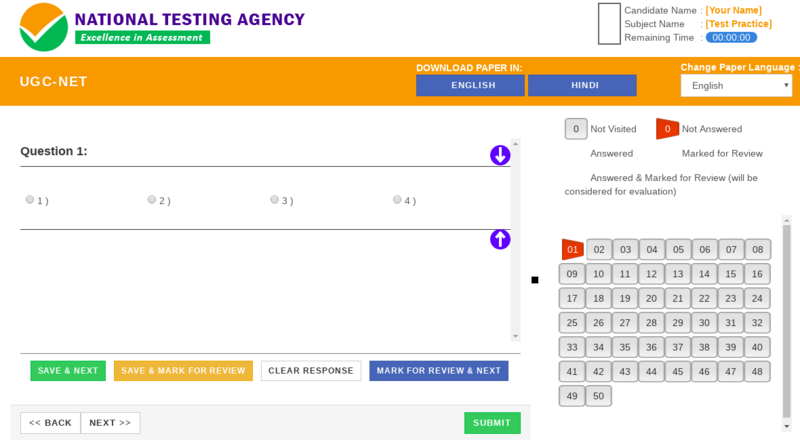 If you want to submit the final marking, click on Yes button or else click on No button. 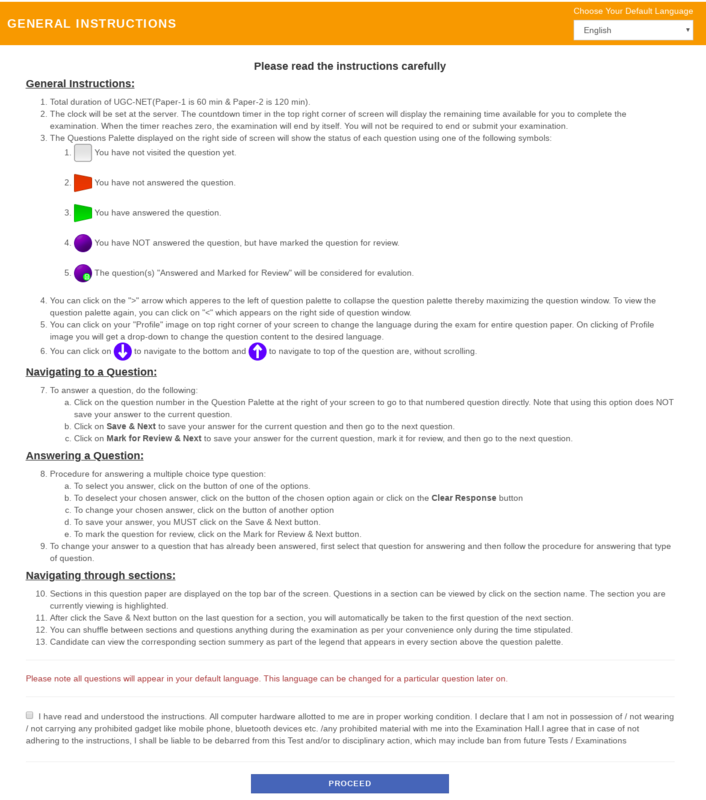 If you click on yes button, the following page (as shown in the image) will open with complete sumary of your answered, unanswered questions, answer options against the questions and your result of online UGC NET mock test.